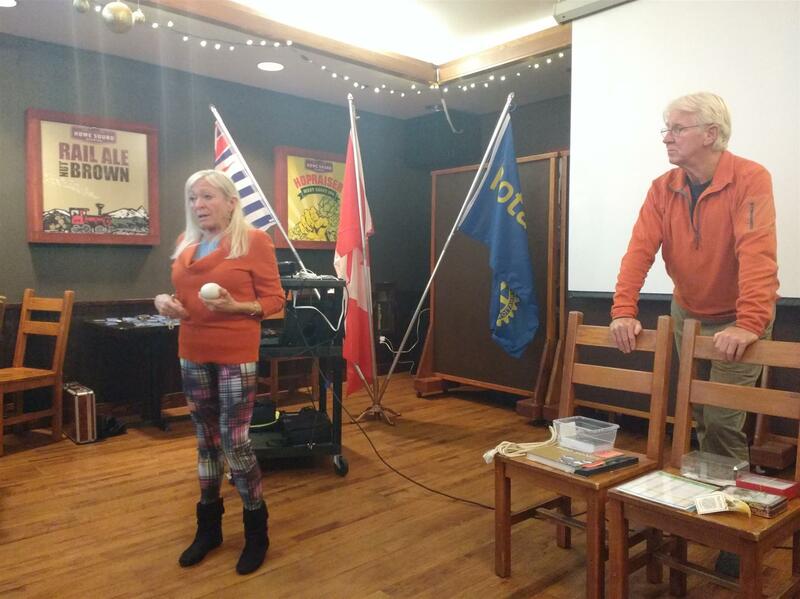 Our speakers this week were Judith Knapp and Wolfgang Pauli from the Eagle Watch Program. They gave a fascinating presentation on the bald eagles that come to the Squamish River every winter to feed on the spawning salmon. The program does an amazing job promoting eagle tourism, and environmental sustainability. Like many volunteer organisations, they are short of resources. If you would like to help by sponsoring the Eagle Watch Program, contact Judith Knapp. After the meeting we received this message from Judith. "Thanks for inviting us to speak to you at lunch today about the amazing wintering bald eagles! I've attached The Book of Eagles and a Bald Eagle Fact sheet for you to distribute to your members. Thanks for your interest in the bald eagles!